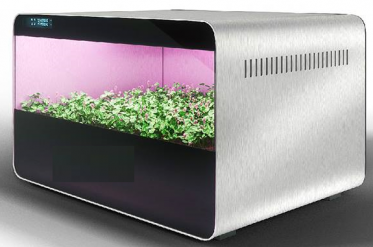 ESSEN, Germany - March 1, 2018 - PRLog -- GHM is the first decentralized automated growing home system for organic greens short cultivation as arugula, dill, green salads, parsley . There are no climate restrictions, high energy-consuming costs. An estimated price for final consumers ranges between 600-640 USD. The GHM solution makes vegetation cycle smart as fully automated system managing all the processes and does not require any specific knowledge either time-consuming activities. All the necessary procedures as watering, nutrition, lightening are conducted by the GHM system without a consumer involvement. The majority of contemporary agrotech technologies are expensive to develop and require the additional expense of substantial computing resources to run. As a consequence, such technologies are still very early-stage compared to the possibilities offered by the vast potential of agrotech networks. The GHM solution is affordable for mass market consumers despite advanced features and the shortest vegetation period.The business model fits especially Scandinavian states and Siberian part of Russian Federation facing a high prizes of organic greens. GHM detailed, practical implementation guide ensures scalability in the particular regions. GHM is a joint project of a Russian and a German teams, currently employing 18 people. For international expansion, all rights and activities will be incorporated into a new single company: GHM International Ltd. Leaders of the new company have over 20 years of business and agrotech. The aim of the project is to raise funds for the production of compact home agro appliance in Germany using LED lightening in combination with corporate nutrient solution, hydroponics and automated vegetation . Decentralized direct investment in the project will be through the purchase of tokens. It is the "decentralization" of tokens that should ensure the independence of the project. GHM is a project with a quick payback (3-4 months), moderate risks and a strong background of professional experience.